A look back (first published 3 October 2015): I have heard several mandolin concerts in Naples since I wrote this article – the last time was in Piazza del Plebiscito under a huge sky. It was as right as the stars above. It took us a while to find the little workshop and we had to squeeze in when we did – it was Saturday and the only door was open to visitors. 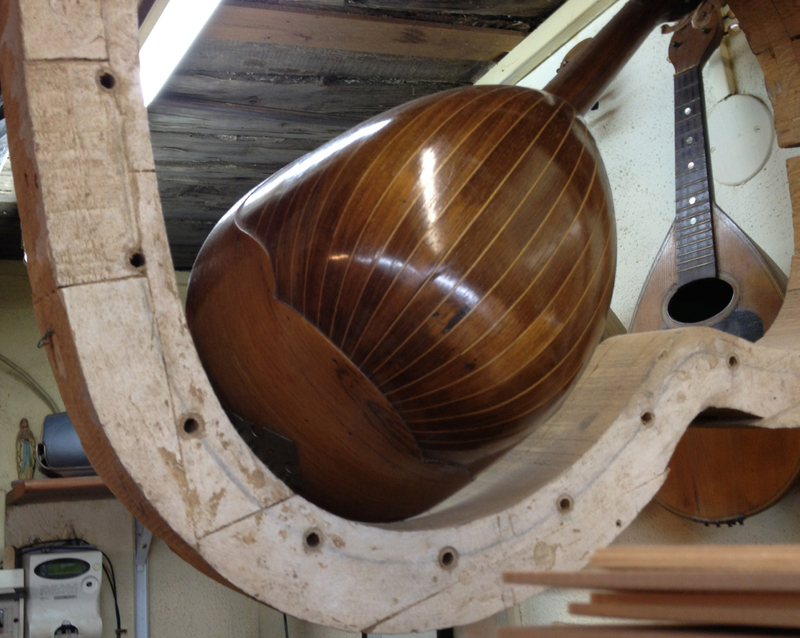 In fact La Bottega del Mandolino was so full of visitors (around a dozen or so), and every shape of mandolin and tool, that there hardly seemed space for Maestro Salvatore Masiello. This entry was posted in Italy, Music, Naples and tagged Italy, Japan, La Bottega del Mandolino, luthiers, Maestro Salvatore Masiello, mandolin, Naples, Raffaele Calace, Vinaccia. Bookmark the permalink.